Help raise awareness of Institute Solidare amongst local companies, and with their support improve the lives of people living on US$8.30 a month. Insituto Solidare is a non-profitable social entity based in Recife, and fights against the tough social and economic reality that the people face every day. In Recife, the neighborhoods assisted by the Institute have a population of more than 22 thousands inhabitants, and experience serious social and economic problems. The average household is made up of around seven people, living in a space with an average size of 20m2. The income per capita of these areas is around R$175.00 (U$105.00); 15.5% of people from 10 to 24 years old are illiterate, and between the adult population this percentage goes up to 16.3%. That said, 20% of the poorest population has an average income per capita of R$18.44 (U$11.00), and 44.8% of children live in a family with an income less than half minimum salary (R$270.00). This context fuels issues such as sexual exploitation of male adolescents and youth, and consumption and trafficking of narcotics, especially crack. There is no social professional profile in these communities; most people live from informal jobs. The situation in Panelas (a city in the countryside of Pernambuco, with around 25 thousands inhabitants, where the organization also works), is even worse: around 60.1% of the children between 10 and 24 years old are illiterate, and 58.9% of the adult population as well; the income per capita is R$72.20 (U$43.22), and the poorest people of the population live with an income per capita of R$14.00 (U$8.30). 85.3% of children live in a family with an income inferior than half minimum salary (R$270.00). More than 80% of the children assisted by the Institute live in unstructured homes, are children of separated parents, and are raised by mothers, aunts and/or grandmothers. They don’t have any minimum condition for a dignified survival. Most of these children are raised as adults; they are denied attention, affection, education responsibility and health. As a result, many of these children are aggressive, have low self-esteem, or other situations that harm their school performance, as well as the relationship with other people and the world. These children are emotionally fragile, and as a result they are easily persuaded to go into drug trafficking, taking drugs and sexual exploitation. The project works to strengthen four different areas, according to the Statute of Children and Adolescent: cognitive, with an educational complement and transversal approach of themes that are not included in formal school; socio-emotional, where they develop the relationship of the children and adolescents with themselves, with others and with society, through playful activities; physical, with sport activities and the offering of healthy food; and spiritual, where they work issues involving moral and ethics. They also offer psychological monitoring to children and their families, with professional volunteers. 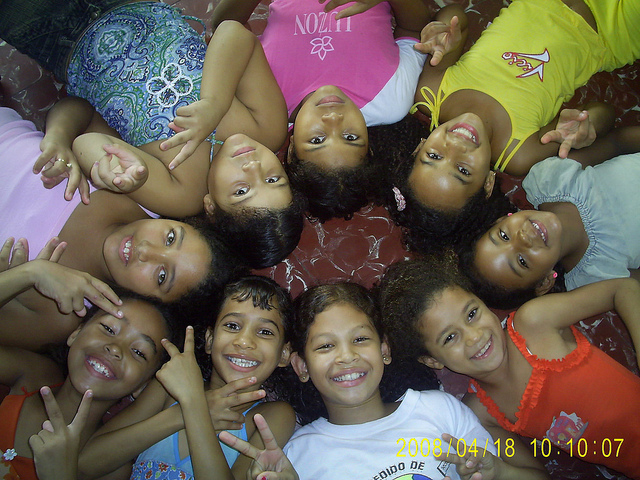 The 3 major partnerships of the Institute are: the Baptist Church, Compassion do Brasil and Aldeias Infantis SOS Brasil, and all of them provide the financial resources for the project’s execution. However, their funding is limited and the money needs to be used for very specific activities. There is little room for expansion. As well, many international corporations from Brazil are leaving the country to work in countries in Africa, increasing the seriousness of the financial situation of Brazilian NGOs. This is a trend that, according to ABONG (Brazilian NGO Association), has no return, and in the near future the main sources of funds for social organizations are going to be from private companies. This context puts in check the survival of the institute. Aiming to create strategies to build a financially sustainable institute, they propose a campaign to raise awareness of their actions, initially for “Pólo das Indústrias do Curado” (Centre of Industries of Curado), where there are medium and big companies in the area. The companies from Pólo das Indústrias do Curado are companies such as: Gerdau; Unilever; Agira; Codistil; amongst others. And many of these companies don’t have any action in the area of corporate social responsibility in the surrounding communities, where the Institute is based. From the new relationship generated with these companies, Instituto Solidare aims to firm partnerships, so they can support the development of the institute’s projects.